Super Value Pack is a combination of 3 super potent marijuana strains at the best prices. The Super Value Pack includes 10 seeds of each variety of White Widow, Ice and Crystal which are all very high in THC. Purchasing this item will earn you 165 reward points. The Super Value Pack includes 10 seeds of each variety of White Widow, Ice and Crystal which are all very high in THC. This value pack is only £55 GBP ($81 USD) for 30 seeds saving you £28 GBP ($41 USD) on the individual prices. Each variety is labelled so you know which is which. An excellent way to try three truly great strains at a very sensible price. The classic citrus tang this strain is renown for comes through immediately. This is rapidly followed by the deep skunk undertone. A pleasing allrounder. A very tasty mix of the spicy afghan/shiva heritage and the more skunky citric taste form the mother. A deep relaxing smoke that gives immediate relief. This is a great pack with all of my favorites in it! Who doesn't love a great variety pack, and the fact that these are labelled, something I can't say for other mixes I've got, is fantastic! "A weed for every time of day"
Ice will be a nice smoke to start your day, while Crystal will help you chill out after lunch, when you've just begun to enter a hectic day. In the evening, Widow will totally take all your stress away, and help you get a great sleep before getting up and doing it all over again! Great choices for this pack all are out of this world and great yields and very potent!! 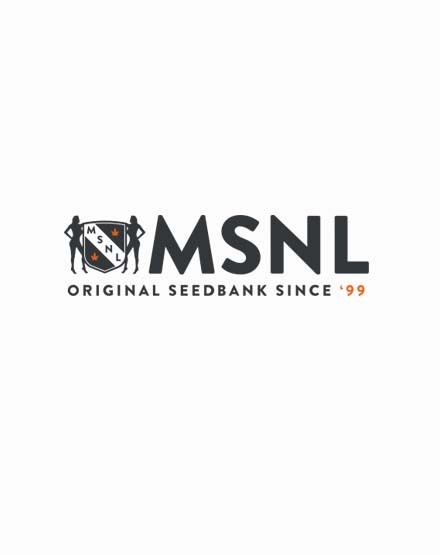 MSNL couldn't have chosen better seeds to put in their Super Strong Pack. They're all so great, and so chalk-full of THC that I can't even pick a favorite! And 30 seeds for this price? Now that's a Super deal! love all the skunky tones in these strains, it really is my super pack! !